A father and his son were killed after their small plane went down in Benicia, the Solano County Sheriff's Department announced Sunday. The single-engine Beechcraft Bonanza aircraft crashed in the area of the 2200 block of Lake Herman Road, according to authorities. The 67-year-old pilot and his 43-year-old son had departed Buchanan Field Airport in Concord before the crash, according to the Federal Aviation Administration. 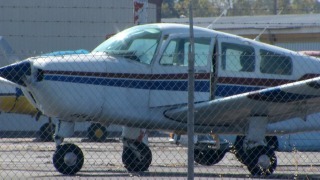 They were slated to travel to the Arcata-Eureka Airport in Humboldt County. An investigation by the FAA and National Transportation Safety Board is ongoing.